Clonazepam: What Happens When You Snort Klonopin? What are the Dangers and Effects of Snorting Klonopin? Klonopin (Clonazepam), known by street names such as K-Pin, K, Pin, and Super Valium, is a potent benzodiazepine used in medical and non-medical settings to induce sedation and tranquility. While Klonopin is typically taken orally, clonazepam snorting is on the rise as recreational users try to hasten the onset of effects. Snorting a Klonopin is typically accomplished by crushing the pill and insufflating the powder into the nostrils. What happens when you snort clonazepam? Several things happen including damage to the nasal cavities, lowered efficacy and increased dosage as the person seeks to increase the drug results. These outcomes are covered in detail here. What are the Ways to Take Clonazepam? Why Do People Snort Klonopin? Medical administration of Klonopin always involves swallowing as a preferred means of administration. Because of its high solvency, ingestion via this route results in a relatively fast onset of Klonopin effects with peak plasma levels being achieved in an hour. Swallowing clonazepam is also the safest way to take it as it allows for slow release into the blood system. Sublingual disintegration refers to taking the drug by placing it under the tongue and allowing it to disintegrate/dissolve in saliva. By swallowing the dissolved pill, the payoff can be quickened, although marginally. Administration via sublingual disintegration can speed up the onset of results by about 15 minutes. Here an individual will crush pills meant for oral ingestion into a fine powder and then snort the contents via the nostrils. The method provides an ineffective means of intake as the drug has poor absorption rates via the nasal mucosa. For Klonopin symptoms to kick in, the pill powder must first dissolve in mucus then trickle down the throat to the stomach, where it is absorbed. The added step increases the amount of time it takes for results to kick in. Snorting the medication also comes with additional dangers and Klonopin side effects. While rare, there are some instances where individuals crush the pills, dissolve the powder in some liquid and then inject them directly into a vein. IV administration, while slightly shortening the time it takes for clonazepam to take effect, does not do so significantly, thus providing poor incentive when compared to the risks involved with IV administration. While not yet a mainstream phenomenon, snorting clonazepam is a trend that is gaining momentum especially in young recreational users. A blend of risk-taking tendencies and cultural motifs are influencing this trend despite the known ineffectiveness of the method of administration. One possible driving factor behind snorting Klonopin is the “coolness” associated with snorting drugs, popularized by Hollywood and other pop culture. Demographics involved in snorting clonazepam tends to be between 18 and 30 years of age and in most cases involves persons new to taking drugs recreationally. The psychological “kick” of snorting drugs is a key driving factor behind the continued adoption of the trend by recreational users. Why Do People Take Klonopin? People take Klonopin for a variety of reasons. On a medical front, the drug is used to treat serious conditions such as management of seizures, anxiety disorders, muscle disorders, among others. Administered under close medical supervision, the dosage is titrated to the correct amount and then tapered off once tolerance begins and the dose loses its effectiveness. In recreational settings, clonazepam is preferred due to its potency as a tranquilizer. About 20 times stronger than other benzos like diazepam, it is favored for its slow release and extended results. As tolerance builds and dependence forms, individuals on the drug will try and recreate the initial high they felt when they started taking it. The clonazepam snort phenomenon is a misguided attempt to speed up the results and reintroduce a vanishing high. A Klonopin high is characteristic of other drugs belonging to the benzodiazepine family. After taking a pill, the individual will begin experiencing effects after about an hour. These feelings include mild sedation, drowsiness, calmness, and tranquility, slowed breathing, relaxed muscles and a general sense of what can be described as bliss. While the paradoxical effect of Klonopin euphoria has been reported, instances are extremely rare. The depressing nature of clonazepam means specific brain synapses sensitive to the neurotransmitter gamma-aminobutyric acid (GABA) are hindered from firing rapidly, resulting in an overall slowdown of Central Nervous System limbic and cortical centers. As a result, persons snorting Klonopin will rarely exhibit excitement-related symptoms of any kind. How Long Do the Effects of Klonopin Last? After snorting Klonopin, it takes between 1 to 2 hours to reach peak plasma levels. It has a relatively long elimination half-life of about 19 to 60 hours, meaning its plasma bioavailability is also extended. On reaching peak plasma levels, drug concentrations in the brain and wider body remain at a constant level for about 6-12 hours, which is how long the effects of the drug last. These extended results make clonazepam useful when treating conditions that require low but persistent dosages such as anxiety with or without agoraphobia. Recreational users including clonazepam high snort-users also favor it because of its persistent high. Snorting clonazepam injures the nasal mucous membranes and can lead to sinusitis and other serious problems like chronic nosebleeds, blocked nostrils, and nasal cancer. Snorting Klonopin can also lead to increased tolerance and dependence, leading to substance abuse syndrome, the bedrock of addiction. Persons who take the drug by snorting are also predisposed to Klonopin overdoses and attendant risks such as coma and death due to the ineffective delivery of the drug with this mode of administration (MOA). Caution must be exercised before considering taking it in this manner as the mode of administration provides for poor drug bioavailability via nasal membranes while introducing the dangers mentioned above. Snorting Klonopin can lead to serious life-altering changes in your life. If you or a loved one is addicted to Klonopin and need help, call (888)-459-5511 today to speak with a knowledgeable representative. 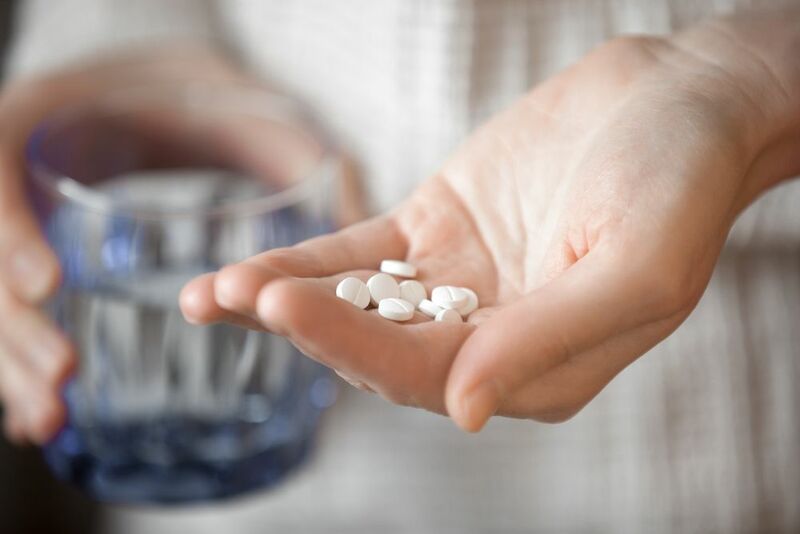 Addiction Resource » Addictive Substances: The Anatomy of Drug Addiction » Klonopin Abuse, Addiction, and Treatment » What are the Dangers and Effects of Snorting Klonopin? I know this is off the subject, but does anyone know when, where marijuana will be allowed in Shreveport, la. Or where I can get Some legally. My father is a Purple Heart veteran & is in severe pain. I take Clonazepam every day and have for years. If you have severe anxiety or panic attacks, the only rush you will feel is rhe calming feeling of being normal!! otherwise its just a tranquilizer for anyone else!!!! For those of us with anxiety, its a lifesaver, but i see no recreational use for it!!! Agree totally as an anxiety sufferer. And chop it up real fine. The I use a straw or empty or empty pen (NOT TO SNORT) I will then lift my tongue up and literally sip (like a drink) up the powder so it is now under my completely under my tongue. It will all dissolve quicker. I don’t have the time of letting a whole pill dissolve. To all my brother & sisters out suffering from panic attack and anxiety this will definitely help your Kolonopin/Clonazepam kick in a lot faster. You cud also do that one and pop the normally. There are some inaccuracies in this article, the LD50 which stands for the Lethal Dose which kills 50 percent of subjects involved the lethal dosage 50 or LD50 in humans for Klonopin is a few hundred thousand milligrams if just Klonopin is taken. So basically you would have to take a few lbs. Of this drug to die. Also there is an antidote called romazicon which will reverse the effects of a severe overdose. Death is extremely improbable not to mention extremely rare so overdose and ultimately death is an extremely rare occurrence. Refer to the National Vital Statistics Vol. 67 No. 9 December 12, 2018. If you read the footnotes for overdose it clearly illustrates that death results in multiple drug use and no precise correlation and opioids were involved in benzo overdoses, which is true and we have had the data on that for several years. Why does it take so many mgs. Of clonazepam to put you to sleep for good? Which benzo is the most toxic, but how many clonazepam would you need with 450 mgs. Of methadone to go to sleep for good? If you are on that much methadone. Oh god. I doubt you will feel any amount of any drug. Don’t try. Please please slowly, No more than 33% decrease per month, get off the methadone. Please. You guys are really milking this thing. Is this for attention? Because I have been taking Klonopin for 5 years and never once got high off of it. And the one asking for help to kill yourself to go to sleep for good. You are GONNA NEED a different way. And not 1 person has asked a serious question, this is why you can’t get help in chat rooms like these, because you are too afraid of looking cool.